On September 25th, the sun will set on the 200+ acres of farmland at Tsali Notch Vineyard. 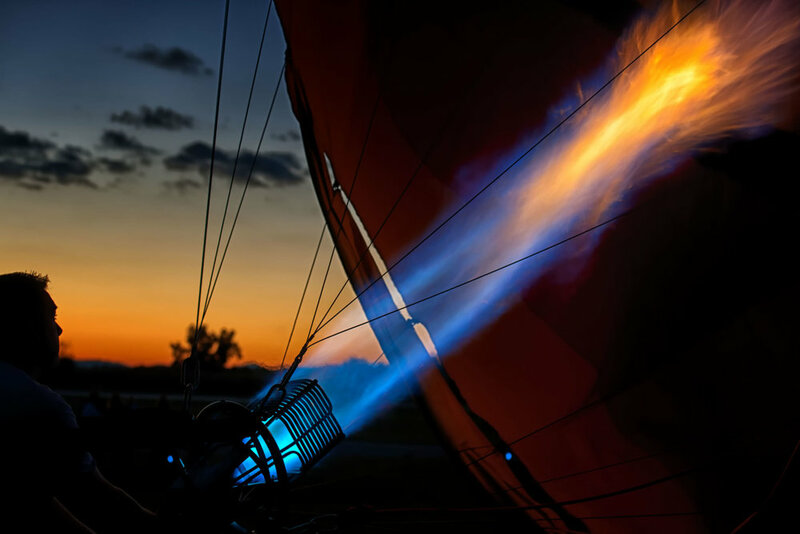 As the dusk settles over the muscadine vines and the surrounding mountains, a mesmerizing glow rises from the ground, lighting up over 20 colorful balloons and setting the night on fire. The Bingham Group presents Monroe Life’s 3rd Annual Balloon Fiesta, which will launch on the same day as the National Muscadine Festival! The 2-day Fiesta features a balloon glow to live music each evening, and The Bingham Group has been very busy preparing for the arrival of the balloon’s and their pilots. The Fiesta traditionally has a carnival-like feel, with enough food, dessert and games to appeal to appeal to any palate. This year, The Bingham Group is proud to benefit CASA Monroe (Court Appointed Special Advocates for Children) with the Balloon Fiesta. CASA Monroe has a local office in Madisonville, Tennessee, where Volunteers advocate for children who find themselves in the court system due to abuse or neglect. Appointed volunteers gather critical and objective information to give the court, allowing for the child to receive the best-possible home situation to thrive in. As we get ready for another amazing festival, join us in supporting CASA Monroe by visiting their website, and plan on bringing your family out to the largest muscadine vineyard in the state! One day admission is $5 for children 12 and under and $10 for adults. A two-day pass to the Fiesta is $8 for children 12 and under and $15 for adults. Additional fees apply for certain games, food, and tethered balloon rides. Visit muscadineballoonfiesta.com for the full event schedule, information on CASA Monroe, and directions to Tsali Notch Vineyard. We will see you at the Festival!